My fourth grade teacher Mrs. Hoffman gave me my first big break as an artist. She seemed to be the first person who recognized that for me, learning was a more of a visual activity. The assignment immediately fascinated me; I was asked to create a visual timeline of American history from 1776 to 1978. And so began my love affair with history, as well as my obsession with finding new ways to express my passion for the past through art. I went into business for myself fifteen years ago with only one real goal; to redefine the role of the artist in the world of Interior Design & Decorating. And with countless residential & commercial projects under my belt, as well as thousands of studio hours in the trenches of the creative process…I’ve pretty much seen it all. My professional experiences have seen me play the role of an artist, contractor, construction manager, retailer, and design professional. And as good as I’ve convinced myself that I am, I’ve been lucky. And I’ve been very fortunate to have had plenty of “artistic angels”, whose collective wings have allowed me to fly. 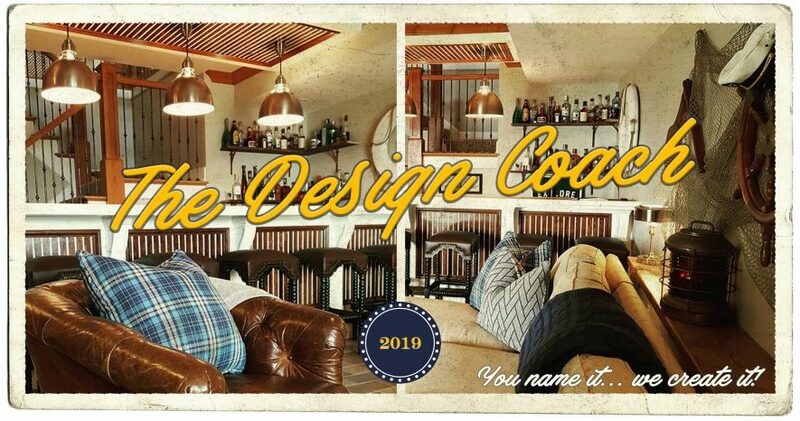 My business,The Design Coach/Refined Rustic LLC, by most standards should be the culmination of my professional experiences. And I guess in some ways it is, but to me it’s much more than a list of what projects I’ve worked on, the knowledge I’ve acquired, or the products and services I provide. No, for me, the artist, business is personal. And The Design Coach/Refined Rustic LLC continues to represent my incredibly challenging and yet amazing creative journey. In this blog, like the search for interesting found objects, you just never know what you’re going to find…or where the search may lead. And in a world where everyone is positioning themselves as an expert on how something should be done, I’d like to focus on what I call “the why”. No doubt, from one entry to the next, tangents will not be in short supply. And you can bet we’ll talk a little faith, family, freedom and failure, along with a healthy dose of why the creative process is one of sweet redemption. They say you learn more from failure than success. I can vouch for that, and it’s only when the blank canvas begins to resemble more of a clean slate that you’re no longer intimidated or afraid, you feel the courage grow, and it becomes exciting to realize that anything may just be possible. So come with me . . . Get Lost in Found… And revel in the undeniable fact that something can be both new and old, refined or rustic, depending on your perspective.